This game featured Denver’s high draft pick bust quarterback starting for a half against the 49ers first team offense both working against non-first team defenses, for the most part. With the 49ers trying to make an offensive impression and Denver taking one more glimpse of their quarterback flop – somehow Denver was winning 33–7 into the fourth quarter eventually going on to win 33–14 after a late kick off return TD by the 49ers. Denver’s got a lot of problems. It just goes to show how fast things can fall apart; how tenuous it is to try to stay on top – the Super Bowl champs from two years ago cannot even make the playoffs the following year and now they may not be a .500+ team this season. That’s a stunning fall from grace. It wasn’t that long ago the 49ers were in the Super Bowl. Four coaches in four years later, they are the laughingstock of the NFL. According to reports yesterday, master poker player and new head coach of the Denver Broncos Vance Joseph proclaimed he would only be keeping two quarterbacks and I guess outright saying Kyle Sloter, their best QB talent by far, would hopefully make it to the practice squad. First off, with a week+ to go before decisions need to be made there is absolutely no business sense in letting everyone in the NFL know what your roster plan is for any reason. Sloter has shined in the preseason and anyone with two eyes watching in Denver camp can see how naturally great a quarterback prospect Sloter is. The players and fans have been falling in love with the guy we helped introduce deeper into the NFL Draft world several months ago – a guy we graded as one of the top three quarterback prospects in the 2017 NFL draft. All Vance Joseph has done, as the drumbeat for Sloter has gotten louder, is completely dismiss him at every turn, out loud to the media — and now his coup de grace is already saying he plans on keeping two quarterbacks only. So what’s Joseph going to do now? Not play Sloter for the rest of the preseason as to not showcase him/hide him from the rest of the league? Are you going to run Paxton Lynch, who has failed at every opportunity in the NFL, you’re now proclaimed backup (and future? ), to play the entire fourth preseason game with all the scrub blockers? What if he plays Sloter, because he doesn’t care about him, and Sloter goes off some more? The more Sloter gets opportunity the stupider he will make Vance Joseph’s proclimation look. Joseph has painted himself into a corner to look even dumber than he has already. Even if this was his full intention (to cut Sloter), idiotic or not, there’s no reason to talk about it now. There’s a reason why Bill Belichick mumbles nonsense to the media. If you were a Denver fan, and your coach can’t stop running his mouth about everything he’s going to do in advance – how crestfallen are you with your new head man? At a minimum the guy can’t keep his mouth shut. At another minimum, he has no business sense whatsoever. It’s the typical story of NFL head coaching. Teams go out and hire a longtime assistant, supposedly fluent in the X’s & O’s, knows how to run the neck rolls and jumping jack warm up sessions while barking nonsense about ‘focus’ and ‘effort’ and ‘family’ to the players – but most all these coaches have no business sense, nor do they have any advanced media training. If I were a young assistant head coach, all I would do with extra time is take public speaking classes and public relations classes. I’d find any opportunity to practice speaking in public and in the media to work on my political speak as much as I could – to get ready for the day where I’m announced in a press conference as a new head coach…when I have to be in front of the media every day as they asked me gotcha questions. Vance Joseph, Anthony Lynn in San Diego, Jim Tomsula when the 49ers hired him (just guys that came to mind quick)…they’re all guys who look like they’ve never seen a microphone or been in front of a pressure speaking situation in their life…which is fine except that’s a major part of their job. They are the CEO/face of your management team in many senses, and they have absolutely no business or political bone about them… but they do know how to shout at players about ‘protecting the ball’ and ‘giving it your all’. And you wonder why these guys get fired every 2-3 years. There’s the stupidity of business management angle of this and then there’s the absolute football evaluation atrocity that would occur if Vance Joseph seeing Kyle Sloter up close for an entire training camp and the way he’s worked in preseason games effortlessly for a UDFA long shot…if Joseph was a witness to all this and didn’t see ‘it’ like most every normal Denver fan is starting to see it — then you have no hope of a Denver fan. If he’s going to make this monstrous of a personal evaluation error, what’s he going to do with a linebacker choice to sit/start or his game plan design for which skill player, etc. etc.? If Vance Joseph lets Sloter go, if John Elway lets Vance Joseph let Sloter go, I don’t know how you can be a Denver Broncos fan the next day. We’re not talking about the meaningless running back position. If they cut and tried to stash De’Angelo Henderson, you’d be pissed but who really cares about running backs? You can find them after drafts and off waivers all the time. It’s only worth a mild aggravation as an educated fan. But when you let a potential chance at a franchise quarterback slip right through your hands…especially when you have one of the most sketchy quarterback 1-2 punches in the league, to begin with – then you deserve all of the losses coming your way. It means Vance Joseph is terrible at his job. And it means John Elway is not the genius everybody thinks he is. Even if they just think they’re going to be slick and put Sloter on the practice squad – it still exposes him to another team grabbing him in a heartbeat during the season. In addition, if John Elway backhands the new head coach and keeps Sloter on the roster because Elway is not a moron…then Vance Joseph looks like two times the idiot. One of the most horrific player evaluations compounded by running off at the mouth, and then followed up by his boss having to clean up his mistake. Denver fans, and I know a lot of you out there are, some of my best fantasy friends are proud Broncos fans…our own Handicap Group member Rabbitt among them – I know he’s going to be fit to be tied if this happens. I also know this is why fantasy football is taking over our lives as football fans. Your favorite team might be too stupid to retain Kyle Sloter services, in a league that spends its entire day telling you how important the quarterback is, but you can make your own personnel decisions in Fantasy. And then your favorite NFL team is just an a la carte side item every Sunday while you enjoy the feast of your entrée known as your various fantasy football teams. Much of the rise in fantasy can be directly correlated to the stupidity of the way NFL teams are run. A lot of fans think they could run the team better than current management – if you chose the football business after working in small business or in a corporate setting, and were successful at that, you would probably run rings around most of the NFL management teams within three years. We’ll find out if everything I wrote is dust in the wind, and they keep Sloter — or a giant bat signal in the sky of the demise of the Denver Broncos. No pressure. By the way, Kyle Sloter went 7-for-7 in this game in 4th-quarter play (including several darts over the middle in-between traffic) and led another scoring drive in an easy Denver victory. Every time Sloter is on the field, it seems, he is leading a drive for a score. — Trevor Siemian (8-11 for 93 yards, 1 TD/0 INT) was named the starting quarterback, to no one’s surprise. Paxton Lynch falls into that Blake Bortles category – everyone can see the problem already, and there’s no solution. Some players just don’t have ‘it’ at the NFL level. Yet Denver will spend a couple more years of a roster spot hoping more film room study would flip a magical switch for Lynch…when at the same time you have a quarterback like Kyle Sloter who walks right in it looks like he’s been in the NFL for a decade. It’s not a crime to make a bad scouting call on a player…it’s just a misdemeanor. It’s a capital offense when you compound it by pretending it isn’t a mistake and wasting years and discarding other players because of it. Siemian is a plausible NFL starting quarterback but is not the turbocharge any of the offensive weapons for fantasy purposes. You’ll have WR2 Demaryius Thomas and intermittent WR2–WR3 Emmanuel Sanders week to week. Forget about the tight ends. Markdown the running backs. Not a lot of help for the Denver DST counting on the offense to retain possession and extend drives consistently. — The starting 49ers wide receivers in this game – Garçon, Goodwin, Kerley. Aldrick Robinson (1-39-0/1), who looks like the most electric WR the team this preseason, is always working second team never the first that I see. That may change by Week 4 of the regular season, but for Week 1 Aldrick is a bit player. — The more I watch of the 49ers preseason, the more I’m impressed with 49ers’ UDFA WR Kendrick Bourne (1-17-0/1). Size, terrific agility, impressive route running, nice hands. He has the makings of a professional receiver in the NFL – a starter talent in the glimpses in the preseason. The more I see of the 49ers decisions on personnel, the less impressed I become with GM John Lynch (cutter of Mike Davis and Bruce Ellington). With that in mind – I suspect they’ll try to sneak Bourne on to the practice squad. You know NFL teams are not paying attention to the preseason/have no idea what they’re watching if they are if Kendrick Bourne sails through waivers and lands on the 49ers practice squad. Which means there’s a 90% plus chance he’s on the 49ers practice squad to start the season. — Want an example of how terrible the 49ers decision-making process is under John Lynch? RB Joe Williams (1-1-0) is a total disaster of a draft pick, and anyone who watched his college tape and studied his college career extensively could see all of the massive problems. The guy may have the worst hands of any RB to ever enter the NFL. He’s a limited talent running back but does have NFL speed. If a team wanted to give a guy like that a training camp shot, no problem. However, the 49ers traded draft assets in order to move up to take him and then allow stories to be videoed about the process because they thought it was so brilliant. The video should be used in court to get the general manager fired already. And because of how the NFL works – because the 49ers don’t want the embarrassment, a guy like Kendrick Bourne or Matt Brieda will not make this team, because you need to retain field/wasted draft pick Joe Williams. Back in June and July, there were fantasy analysts pushing Joe Williams as a top 20 dynasty rookie draft pick. — The running back clearly better than the illustrious Joe Williams is the later drafted by the Broncos DeAngelo Henderson (6-30-0, 2-20-0/2). I like Henderson fine as an NFL worker. I would not call him a star in the making, but if forced the opportunity he could run for 1,000 yards in the season and handle himself nicely in the passing game. He looks a lot like C.J. Anderson (7-24-1, 3-13-0/3) at work… which means ‘capable’ not a ‘superstar’. — Speedy rookie tight end George Kittle (3-33-1/5) had a nice catch and run touchdown in this game. You might take that as a sign that Kittle is going to be Denver’s tight end to own for Fantasy – but hold the phone. Much maligned in the media Vance McDonald (2-14-0/3) ran with the starters and saw a few targets, and looked like his normal self. McDonald is too good, too experienced, to great a blocker to be sitting on the bench in favor of Kittle at this point. — 49ers IDP DB Jaquiski Tartt (7 tackles, 1 sack) led the 49ers in tackles for this game, and when I saw that I was excited to examine the tape to watch him. However, I was quickly dismayed — it didn’t look like the Tartt who I remembered. Tartt used to be a crazy, devastating hitter and in his place, in this game — a lot of reaching arm tackles to wrangle players to the ground. — The last player note I have is about the guy who scored the final TD of this game – rookie WR/KR Victor Bolden (0-0-0/1, 5 KR for 184 yards and a TD). Speaking of bad scouting – mark me down for that on this one. I should’ve been a little more clued in on Bolden. When I first saw him work in Week 1 of the preseason, I was instantly impressed with his speed returning kicks. I don’t mean that in a polite way, I mean it more in the — me not ever being impressed with anything but instantly noticing something was different about this human being. Honestly, I confused him with another Bolden and knew there was no way he was going to play receiver/make it as a receiver on the 49ers roster so I didn’t give it a whole lot more time. 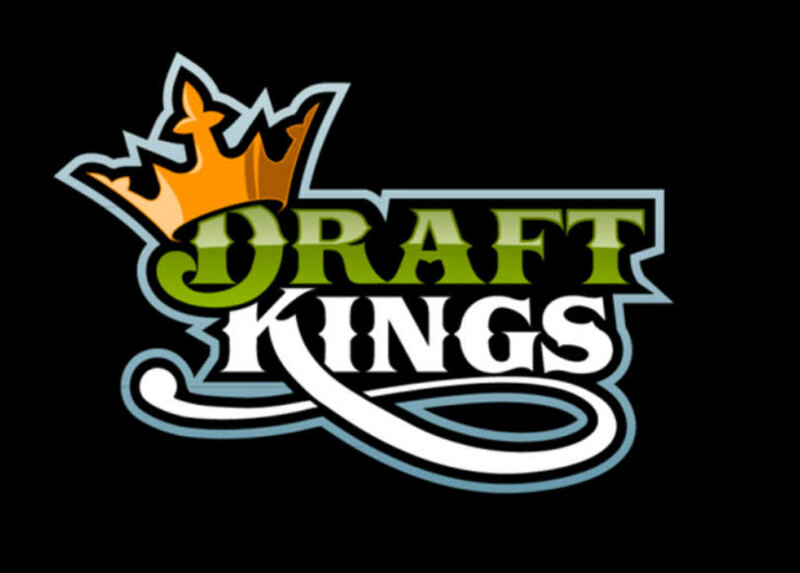 I’m going to give it more time on our latest dynasty rookie draft rankings update coming out Thursday. 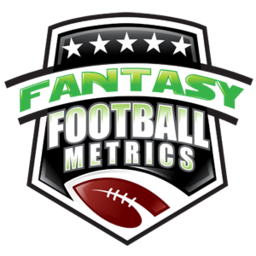 Our seventh annual edition over at Fantasy Football Metrics.com. 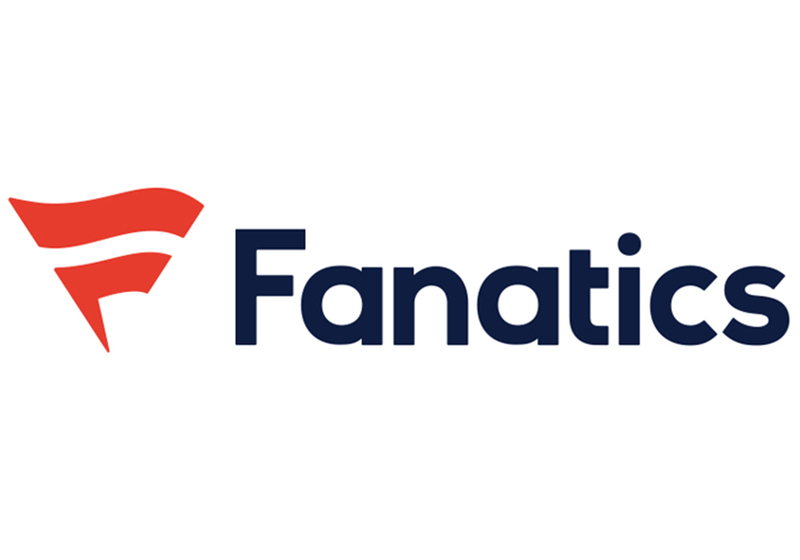 It’s a fantasy draft guide like none other – updated nearly every day from our June launch to opening kickoff. 600+ players projected with thousands of words of commentary for the 2017 season based on our tape scouting, computer/analytics/Moneyball models for the 2017 season and the impact of the schedule. We update all the projections and data daily up to kickoff of the regular season. We nailed it out of the gates on Jordan Howard, Tyrell Williams, Rishard Matthews and so many more in 2016 – pulling sleepers out of thin air and avoiding many landmines. And of course, David Johnson as our ‘top guy’ for 2016…just like we had him rated higher than anyone else in the dynasty rookie draft in 2015, a major sleeper in our 2015 fantasy football draft guide and ranked #1 among all fantasy options going into 2016…we never wavered. You need to know about these guys before everyone else…not debating how high to rank them once they are stars – anyone can do that. We find talent and value year-round, ahead of the masses. We have several new ‘things’included for 2017. It’s our most ambitious draft guide package ever and we’re still adding more data views to it every week throughout the preseason to opening kickoff.